The movement to help young people build skills by learning and working with peers around the world is gaining momentum. This was the message the Stevens Initiative and several of its grantees brought to the Global Learning Conference last month in Chicago. 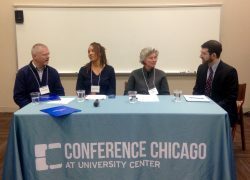 The conference was co-hosted by DePaul University and the State University of New York Collaborative Online International Learning (SUNY COIL) Center. We were encouraged to see presentations by dozens of other educators, including those who are new to the field of virtual exchange as well as long-time practitioners. Stevens Initiative Executive Director Mohamed Abdel-Kader helped kick off the conference with a keynote speech on the importance of global education. His talk, and his question and answer session with fellow keynote speaker Daniel Obst, President of AFS Intercultural Programs, underscored the potential for virtual exchange to help young people build global competencies and other critical skills. The Initiative stressed the need to reach communities that have limited exposure to people from other places and backgrounds, a priority that seemed to resonate with the audience, especially with the educators based in Chicago as well as those from the many SUNY campuses who attended. Several professors who facilitated COIL courses over the past year through support from the Stevens Initiative shared the results and lessons learned from their work. It was wonderful to see audience members – many of whom were educators who were also beginning to conduct COIL courses or other virtual exchange programs – ask the presenters about how they addressed challenges in their programs. This spirit of openness collaboration is an invaluable asset in a field where everyone is experimenting with new methods and where there is so much potential to share the benefit of shared learning. We also enjoyed the opportunity to meet several professors who will be integrating virtual exchange into their courses at the University of Nebraska – Lincoln through a grant we recently announced. The Initiative moderated a pair of panels on the last day of the conference. 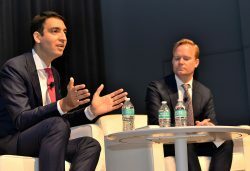 Mohamed Abdel-Kader was joined by representatives of the U.S. Department of State and the Bezos Family Foundation for a conversation about the Initiative’s progress and path forward. And Assistant Director Henry Shepherd facilitated a conversation about the experience of implementing virtual exchange programs with leaders of three programs the Initiative supports. Mike Kimball, Associate Professor of Anthropology at the University of Northern Colorado, spoke about his many years of partnership with the Soliya Connect Program. Rhianna Rogers, Associate Professor of Interdisciplinary Studies at Empire State College, spoke about her experience teaching a COIL course connecting students in Lebanon with peers in New York. And Lisa Roberts, Project Director of the STEAMuseum, talked about launching an online collaborative project through the longstanding Sister Cities relationship between Chicago and Casablanca. The speakers were so energized by the opportunity to share observations and ask questions of each other that they asked us to facilitate a follow-up conversation after the conference, which you can watch below. 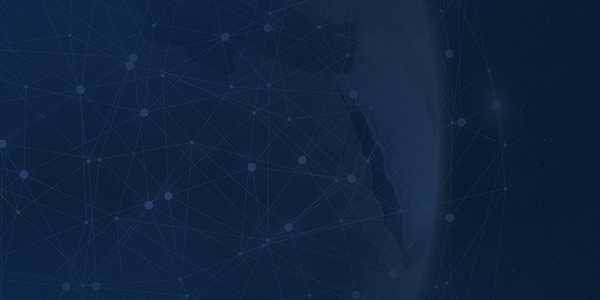 The conference was an opportunity to take stock of how far the field has come over the past few years: as the need for global competence has become more apparent, the terms virtual exchange and COIL are becoming more widely recognized and sought out. New and long-standing programs alike are sharing stories and resources, building evidence of which practices are effective, and encouraging expansion and innovation.